What if money were no object? In such a case, would you ever devote a fortune on your toilet? Whereas a luxury toilet is like the last thing you would be willing to employ your money on, some people just own so much of it, that they can even be whimsical enough to burn it, let alone the splurging! If you look at it aesthetically, we all do spend a significant part of our lives on it every day. So should not we try and create an experience a good as possible? 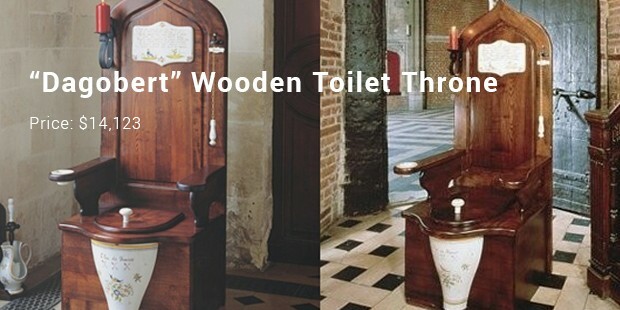 Here is a list of the most expensive toilets, which can inspire you to buy my idea! Did you have any idea that the most expensive toilet on earth is actually not on earth? 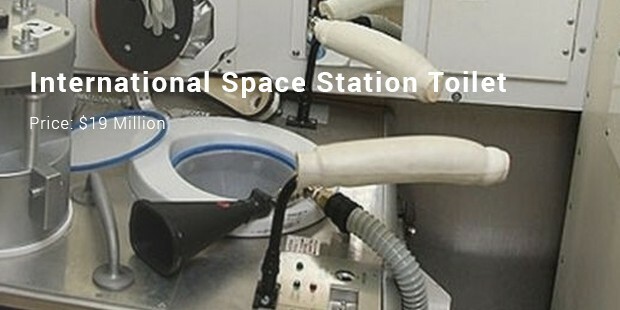 This toilet was unveiled in space. In November 2008, it was manufactured by Russia for the International Space Station. One of the highlights of this toilet is leg braces which assists astronauts correctly keep themselves positioned. 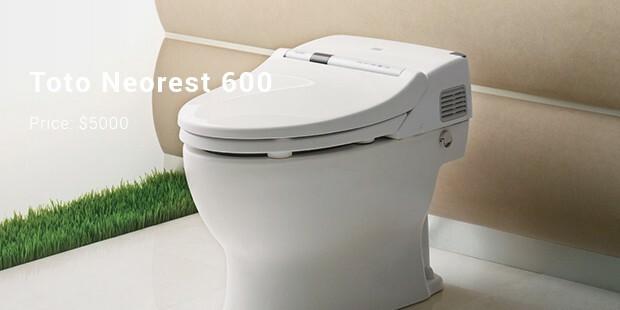 The Hang Fung Gold toilet belongs to the Hang Fung Gold Technology Group. 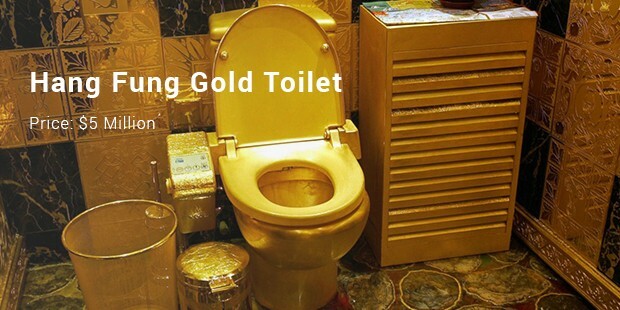 As the name suggests, the toilet is made of gold and interestingly it resides in a validation washroom dubbed as “The Hall of Gold.” It is open for public to view. With higher gold prices than before, the bathroom is gradually being undone as the possessors want to melt down the gold and make use of this high price. Shanghai’s very popular Moon River Art Park is the place you would definitely like to be in, in case you want a natural experience. Before I forget, this is also a tourist site. You can use the toilet for free. You just have to pay the entry fee to the park. Jemal Wright, after having designed a chrome plated toilet, is back to make gigantic strides. It is studded with Swarovski diamonds and for the matter of fact, is bound to send all the lovers of diamond into a tizzy for sure. 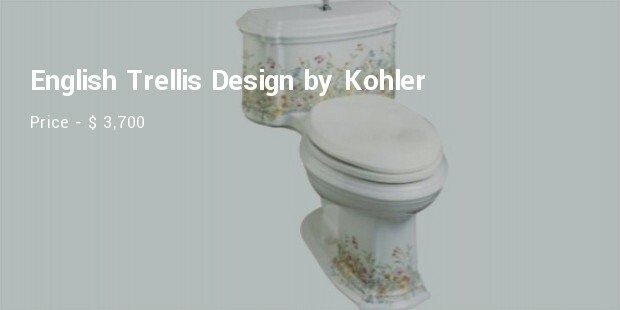 This classical masterpiece toilet includes the pull chain flush with a bell that comes with a full set of accessories in the form of an ashtray and a candle holder. It is 5 feet in height and can be easily mistaken for a throne. It is built with a motion sensor detector. When you approach the toilet the lid opens automatically, and when you are doing your business, you can listen to your favorite tunes, and at the same time adjust the lighting fixtures. 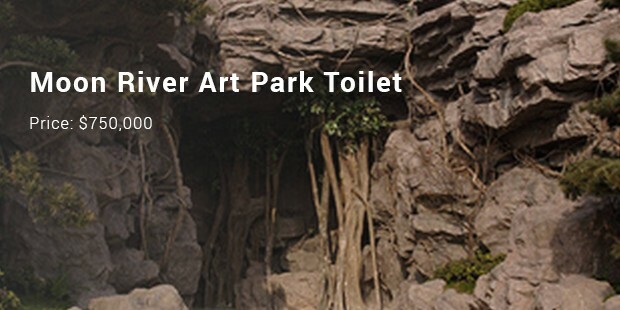 It is described as the most expensive toilet, and it has a wide range of features to provide you with a unique experience of sorts. 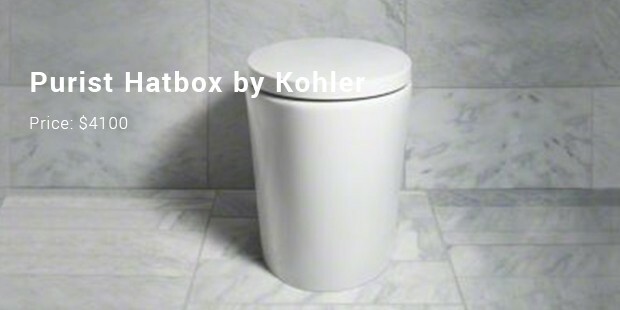 As a matter of fact, the lid opens automatically when you approach the toilet. Ranging from $19 Million to $4100, this list totally mesmerises, and makes you want to indulge yourself in this luxury, though it is way extravagant and quite honestly, unnecessary. However, there are many who find it more of a requirement, than a mere luxury and have enough dough with them to satisfy their quirks. 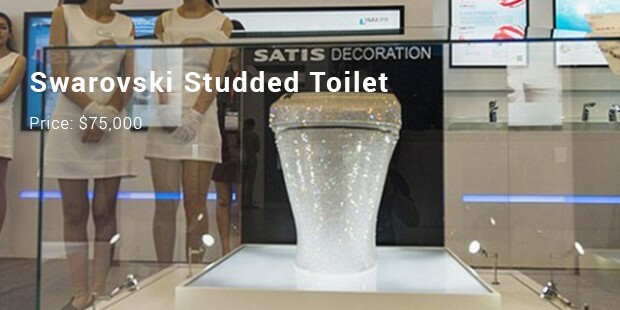 If one has 4 grand to spend, then this toilet is a great deal for sure. It has an English tank that decorates both the top and the tank of the toilet. For its unique design, it makes more than a statement of itself in the bathroom. 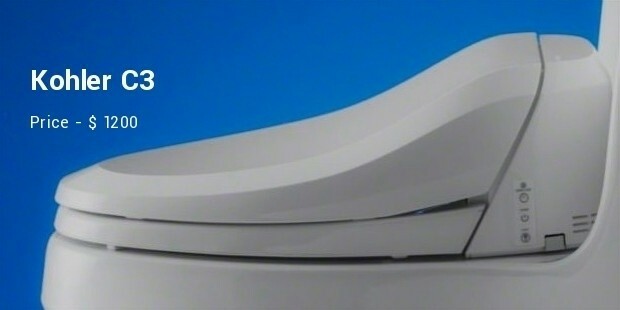 This toilet is designed with a special finish that helps one to remain as clean as possible. 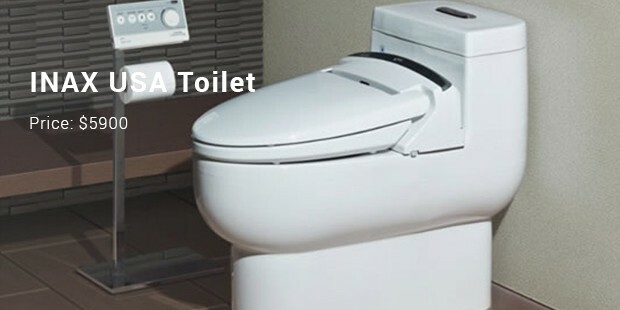 It is incorporated with special features like dual flush mechanism and an automatic closure system. 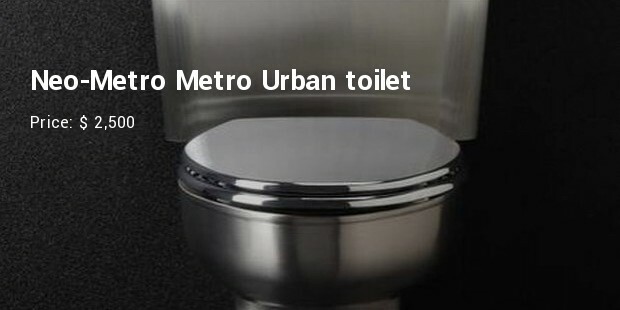 Designed for industrial use, it is a stainless steel toilet that is completely durable in stature. There is a push time of it that makes the potty time as sanitary it can get. 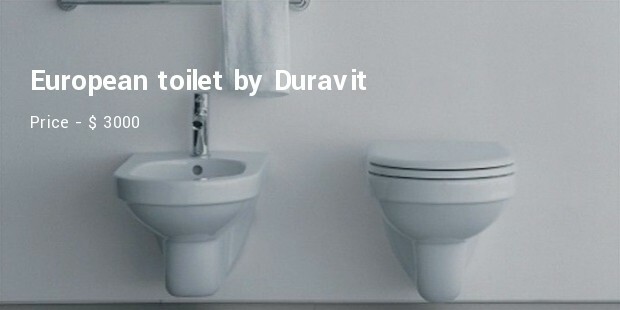 It is considered the cheapest among all the luxury toilets, and it has the basic functions incorporated in it at the same time also. There is a warm water cleansing wand, a night light along with a remote control. 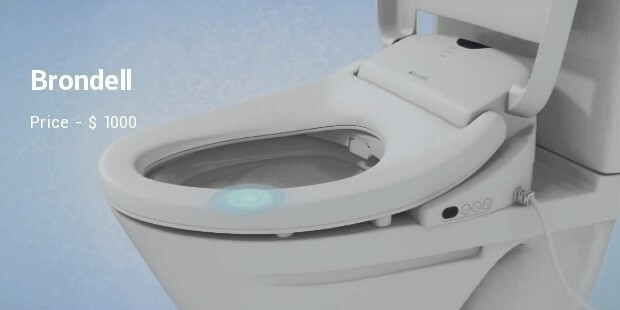 It is a toilet that provides the users with an ergonomic seat that is heated. There is also the feature of warm air drying, and the settings are democratized. 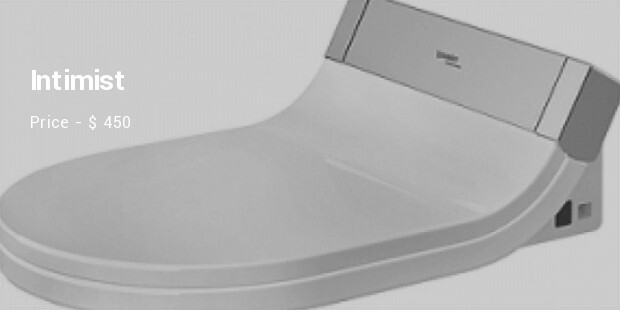 Though this is not a complete bathroom fixture, it is the perfect turn on it turns on the old school toilet into a complete bidet with a warm air blow dyer, water along with a heated seat.